The Agron Moshkovich Team is creating a new gold standard in New York City real estate, a standard set by best-in-class knowledge, tools and personal service. To work with team founders Alen Moshkovich and Tatyana Agron is to witness firsthand their steadfast march toward excellence in everything they do. Doors quite literally swing open and obstacles fall away in the presence of their finely honed skill and persistence. 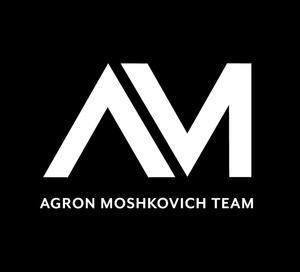 The Agron Moshkovich Team knows that every real estate client and endeavor deserves a highly customized strategy. By harnessing the power of partnership and 15 years' combined experience, Alen and Tatyana merge not only their hard-earned expertise, but also their ability to appeal to their clients as unique individuals. Whether they are seeking a highly collaborative ally or a deeply analytical approach — or a combination of both — clients feel supported and cared for throughout the journey. Achieving top dollar is practically second nature to Alen and Tatyana, and they consistently leave record-setting prices in their wake. Their legion of satisfied repeat and referral clients are the team's biggest champions, repeatedly praising their honesty, responsiveness and results. With Alen and Tatyana's confident and thorough advisory approach, all doubts are removed from the equation, and clients are assured that everything was done to deliver the best possible outcome, every single time.